I love eggnog and alcohol. So lets mix them! This is so yummy. 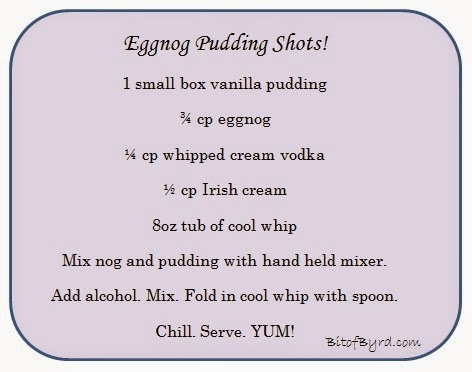 The alcohol isn't overwhelming but tastes so good and by changing the pudding you could have several varieties. If you make I let me know what you think!